Two studies have found that depression and the use of certain antidepressants are both associated with increased risk for Clostridium difficile infection, an increasingly common cause of diarrhea that in the worst cases can be fatal. Researchers studied 16,781 men and women, average age 68, using hospital records and interviews to record cases of the infection, often called C. diff, and diagnoses of depression. The interviews were conducted biennially from 1991 to 2007 to gather self-reports of feelings of sadness and other emotional problems. There were 404 cases of C. difficile infection. After adjusting for other variables, the researchers found that the risk of C. diff infection among people with a history of depression or depressive symptoms was 36 to 47 percent greater than among people without depression. Both reports appeared in the journal BMC Medicine. Each year, hundreds of millions of metric tons of dust, water, and humanmade pollutants make their way into the atmosphere, often traveling between continents on jet streams. Now a new study confirms that some microbes make the trip with them, seeding the skies with billions of bacteria and other organisms—and potentially affecting the weather. What’s more, some of these high-flying organisms may actually be able to feed while traveling through the clouds, forming an active ecosystem high above the surface of the Earth. The discovery came about when a team of scientists based at the Georgia Institute of Technology in Atlanta hitched a ride on nine NASA airplane flights aimed at studying hurricanes. Previous studies carried out at the tops of mountains hinted that researchers were likely to find microorganisms at high altitudes, but no one had ever attempted to catalog the microscopic life floating above the oceans—let alone during raging tropical storms. After all, it isn’t easy to take air samples while your plane is flying through a hurricane. Despite the technical challenges, the researchers managed to collect thousands upon thousands of airborne microorganisms floating in the troposphere about 10 kilometers over the Caribbean, as well as the continental United States and the coast of California. Studying their genes back on Earth, the scientists counted an average of 5100 bacterial cells per cubic meter of air, they report in the Proceedings of the National Academy of Sciences. 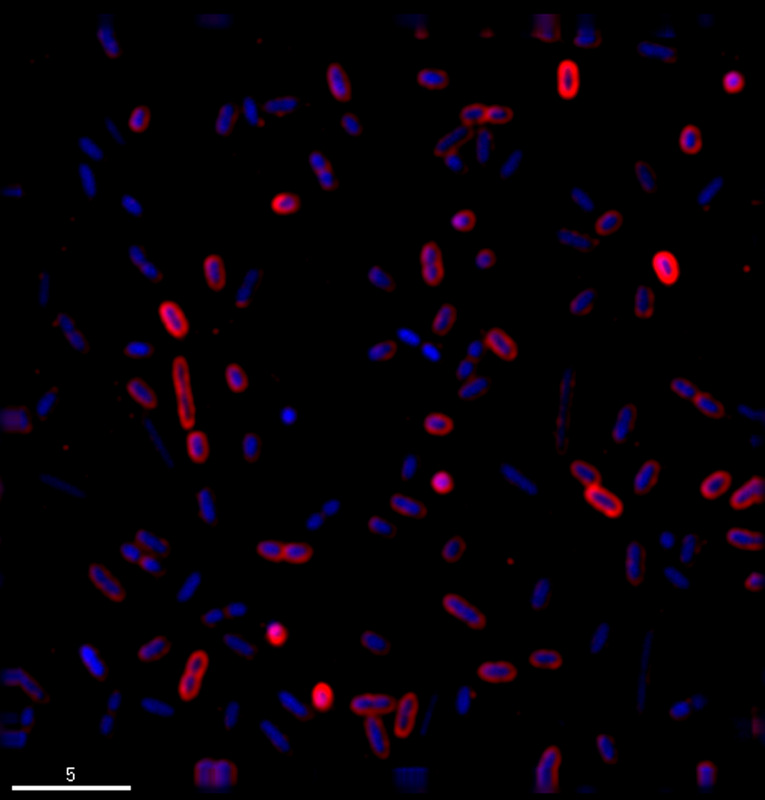 Although the researchers also captured various types of fungal cells, the bacteria were over two orders of magnitude more abundant in their samples. Well over 60% of all the microbes collected were still alive. The researchers cataloged a total of 314 different families of bacteria in their samples. Because the type of genetic analysis they used didn’t allow them to identify precise species, it’s not clear if any of the bugs they found are pathogens. Still, the scientists offer the somewhat reassuring news that bacteria associated with human and animal feces only showed up in the air samples taken after Hurricanes Karl and Earl. In fact, these storms seemed to kick up a wide variety of microbes, especially from populated areas, that don’t normally make it to the troposphere. This uptick in aerial microbial diversity after hurricanes supports the idea that the storms “serve as an atmospheric escalator,” plucking dirt, dust, seawater, and, now, microbes off Earth’s surface and carrying them high into the sky, says Dale Griffin, an environmental and public health microbiologist with the U.S. Geological Survey in St. Petersburg, Florida, who was not involved in the study. Although many of the organisms borne aloft are likely occasional visitors to the upper troposphere, 17 types of bacteria turned up in every sample. Researchers like environmental microbiologist and co-author Kostas Konstantinidis suspect that these microbes may have evolved to survive for weeks in the sky, perhaps as a way to travel from place to place and spread their genes across the globe. “Not everybody makes it up there,” he says. “It’s only a few that have something unique about their cells” that allows them survive the trip. Even if microbes spend their atmospheric travels in dormancy, that doesn’t mean they don’t have a job to do up there. Many microbial cells are the perfect size and texture to cause water vapor to condense or even form ice around them, meaning that they may be able to seed clouds. If these microorganisms are causing clouds to form, they could be having a substantial impact on the weather. By continuing to study the sky’s microbiome, Konstantinidis and his team hope to soon be able to incorporate its effects into atmospheric models. An Indiana man’s nasty injury led scientists to discover a new type of bacteria that sheds light on symbiotic microbes in insects. Two years ago, Thomas Fritz cut down a dead crab apple tree in his yard. He fell while hauling away the woody debris and a branch from the tree impaled his right hand between the thumb and index finger. Fritz, a 71-year-old retired inventor, engineer and volunteer firefighter, bandaged the gash himself. He waited a few days to see a doctor and by the time of his appointment, the puncture wound became infected. The doctor took a sample of the cyst that formed at the site of the cut and sent it to a lab. After an abscess, swelling and more pain, Fritz’s wound eventually healed. But the sample from his infection puzzled scientists at the lab who couldn’t identify what type of bacteria they were looking at. The sample was eventually sent to ARUP Laboratories, a national pathology reference library operated by the University of Utah, where scientists named the new strain human Sodalis or HS. Colin Dale, a biologist at the University of Utah, said that genetic analyses of HS showed it is related to Sodalis, a genus of bacteria that he discovered in 1999 and has been found to live symbiotically in 17 insect species, including tsetse flies, weevils, stinkbugs and bird lice. In such symbiotic relationships, both the host and the bacteria gain — for example, while Sodalis bacteria get shelter and nutrition from their insect hosts, they also provide the insects vital B vitamins and amino acids. Though symbiotic relationships between microorganisms and insects are common, their origins are often a mystery. The new evidence provides “a missing link in our understanding of how beneficial insect-bacteria relationships originate,” Dale said, adding that the findings show that these relationships arise independently in each insect. As the strain of Sodalis in this case likely came from a tree, the discovery suggests that insects can get infected by pathogenic bacteria from plants or animals in their environment, and the bacteria can evolve to become less virulent and to provide symbiotic benefits to the insect. Then, instead of spreading the bacteria to other insects by infection, mother insects pass down the microbes to their offspring, the researchers said. The research was detailed earlier this month online in the journal PLoS Genetics.